Find out a 3 days programme in Paris (the gist can be done in 2 days) that mixes neighborhood discovering, main cultural places, architecture and shopping. Three days to feel like coming back! Note : The programme below does not claim by to be exhaustive, 2 or 3 days being impossible visit entirely Paris. It will nevertheless give you the essential keys to understand the best possible the sumptuousness of Paris during this short stay. To give you a complete idea of the different tours doable, feel free to surf the different sections of the website, especially walks and unusual visits. – Start your 1st day going to Châtelet (you can take the bus 72 to appreciate beautiful Paris landscapes). From there, border Seine’s embankments either towards Hôtel de Ville and Île Saint-Louis (Town Hall and Saint-Louis Island – about 20 mn walking) or for Place de la Concorde (about 1 h walking). – Bordering the Seine and its several bridges, you will discover a matchless atmosphere and architecture. Don’t forget to do a detour to Île de la Cité (Cité Island) to see Notre-Dame de Paris. 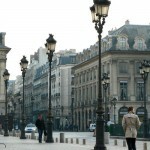 – From la Concorde or Hôtel de Ville, go rue de Rivoli, one of the biggest shopping main road of Paris. – For lunch, go to quartier Montorgueil (Behind les Halles). This pedestrian zone is full of pubs and restaurants in addition to be a shopping centre where famous brands are close to creator shops. – To take a rest, go then to the Jardin des Tuileries (Tuileries Garden), wonderful garden built in the 19th century. Then, finish up your day visiting le Louvre Museum. Allow 2 or 3 hours for a complete visit of at least one wing. 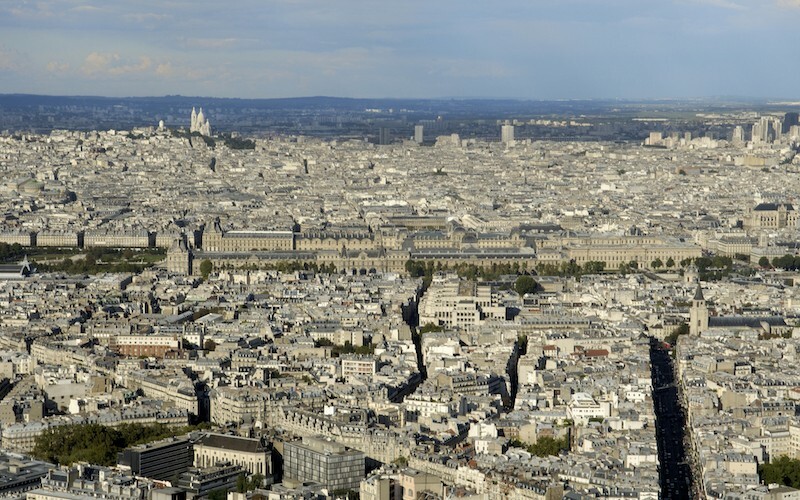 – The best way to discover Paris is walking around. Devote the major time of this day to stroll in the different districts of the city. – Talking about Paris villages, we obviously think about Montmartre. To enjoy the atmosphere, go there early in the morning (8/9 a.m). After, some places as Place du Tertre are taken by storm and loose their charm. – If you wish for learning about history of Montmartre, go to Musée de Montmartre, houses inside one of the oldest house of the mound. Otherwise, prefer Dali Museum. – Next, go down toward Pigalle area to discover « New-Athens » neighbourhood (9th district). Here have lived a lot of artists and writers during the 19th century. Head for rue des Martyrs, main shop road of this village of Paris. 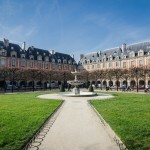 – Go now for south of Paris and the village of la Butte aux Cailles. Less known than Montmartre, this mound is very authentic and kept its charm. In the evening, take a drink rue de la Butte aux Cailles. Two other villages of Paris that still have a character of countryside really worth to be visited : la Butte Bergeyre and La Mouzaia. Both are in the 19th district, next to Buttes Chaumont public garden. 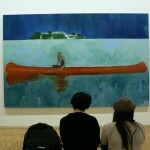 – Go to Musée d’Orsay at the opening to avoid the queue. Plan 4 hours for a complete visit of this not-to-be-missed museum. – Next, head for Saint-germain-des-Près area, cultural and literaly centre of Paris. Stroll up the neighborhood and enjoy the unique atmosphere (see the walk in Saint-Germain-des-Près neighborhood). – Do not leave Paris without going to the Eiffel tower… Whatever the season, you can expect a huge queue. If you prefer doing something different, go to visit the Opéra Garnier, one of the world’s greatest Opera. – Next, head for Trocadéro area, in front of the Eiffel Tower. A lot of buildings have been built during 1878, 1900 and 1937 World’s fairs. – You can choose to visit overthere one of the several museums (Cité de l’architecture et du patrimoine, Musée d’art moderne de la ville de Paris, Musée Guimet, Musée de la Marine, etc…) or stroll up the 16th arrondissement to appreciate the beautiful architecture of this bourgeois neighborhood. A luxury and romantism symbol of Paris. Find out programme of things to visit and walk itineraries to fully enjoy Paris if you stay 2 or 3 days. A sufficient period to feel like coming back!